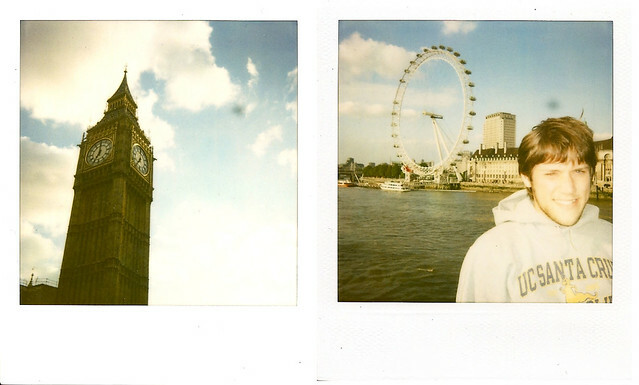 even though i brought a polaroid camera with me during my travels, i hardly took any photos. 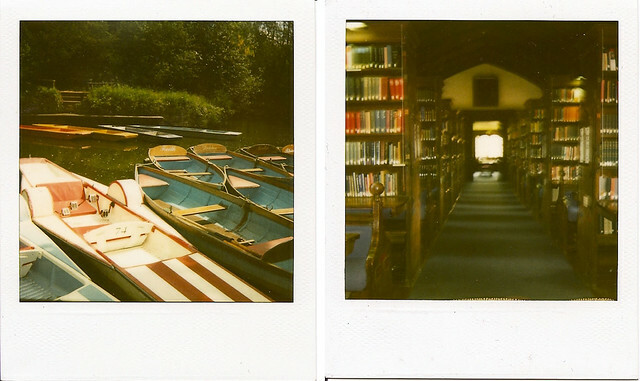 to me, polaroids are like gold, so it sort of distresses me if i take a lot of them. hence, i only really have two of oxford and two of london. when i decide that i take a polaroid of something, it takes me a good 5 minutes to compose the picture in my head and when and only when i think the picture will come out perfectly, i snap the photo. one thing i really need to accept is that the beauty of polaroids is the fact that you can't change them. without editing and multiple takes, you really only have once chance. they come out the way they do, and with all the "imperfections" they have, they're actually quite perfect. clockwise from top left: oxford punts, the oxford university corpus christi college library, david with the thames and the london eye, and big ben.